Reconyx is a leading brand in the world of trail cameras. Its camera models are natural sensations, working wonders for trail enthusiasts. Reconyx HyperFire HC600 is among them. This camera is of high quality making it superior among its rivals. The HyperFire HC600 produces excellent day photos as well as good night pictures even with a No Glow IR. The blurriness of the night shots, which is common among No Glow cameras, is minimal. I will mention though that the Reconyx HC500 does take better shots in the night. Because of its No Glow feature, this camera can be used as a security as well since it is unnoticeable. 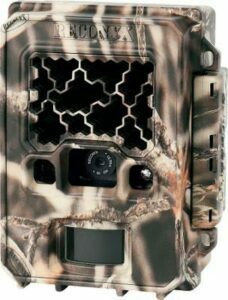 The Moultrie M880 is a good Low Glow option. However, one setback of this camera that might make you reconsider is its price. It is a bit expensive compared to the average cameras, but for good reason. The HyperFire HC600 is built to last. With its extensive shell and cover, you can be sure that it will still be alive and kicking even after 10 years. Like many other cameras, it is hard to estimate the battery life as there are several other factors that affect the battery usage. But overall, the battery of HyperFire HC600 lasts pretty well. It is manufactured in the USA. The HyperFire HC600 is like a diamond which everybody could not afford to have. 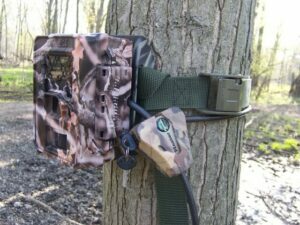 For a high quality camera at a more affordable price point, check out my Moultrie M1100i review here. But with its superior internal and external quality, you just need to give yourself a chance to try it. You just might find yourself making a budget for it.